Baltimore Zumba – A Fitness Program That Makes You The Priority! I’m Kalindi and I created Baltimore Zumba to remind the world that fitness can and should be a place of happiness for all. Come see where Columbia, Ellicott City and Catonsville go to get their Zumba ON!! Join class where you leave your worries behind and enter a place where the focus is all about YOU! Both of these programs will help get you in shape while having the time of your life! The first thing to understand is that Zumba is for everyone, beginning, intermediate and advanced. There is no experience required! At Baltimore Zumba we have students of all ages, shapes and sizes in class and no one walks away with a feeling of “I can’t do this”. The focus is on fitness and fun. WORK EVERY MUSCLE! 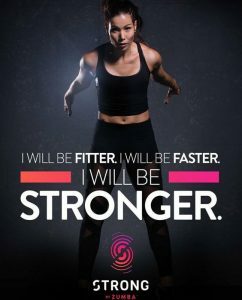 Strong by Zumba™ is a High Intensity Interval Training Program designed to use your own body weight to build muscle endurance, tone and definition. FEEL THE AFTERBURN! The high intensity intervals will get your body burning calories long after your workout. GET STRONGER FASTER! We help you get past your plateaus and achieve more ambitious fitness goals. 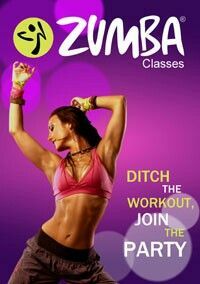 Zumba Fitness® is Dance Fitness at it’s best! We use easy to follow routines that will get your heart racing. Classes are filled with vibrant Latin music, pulsating Bollywood beats and exotic international rhythms that will make you wonder where the time went. Zumba is for everyone… no experience needed! Bring your Energy, Enthusiasm, and Your Smile! Come to class and take that first step to investing in yourself. This is the key to success. Once you begin the journey, we are all there to support you. Baltimore Zumba is now in Columbia, Ellicott City and Catonsville! Register Here! Give it a shot… you have nothing to lose but inches! Every day is a step… in which direction is up to you.